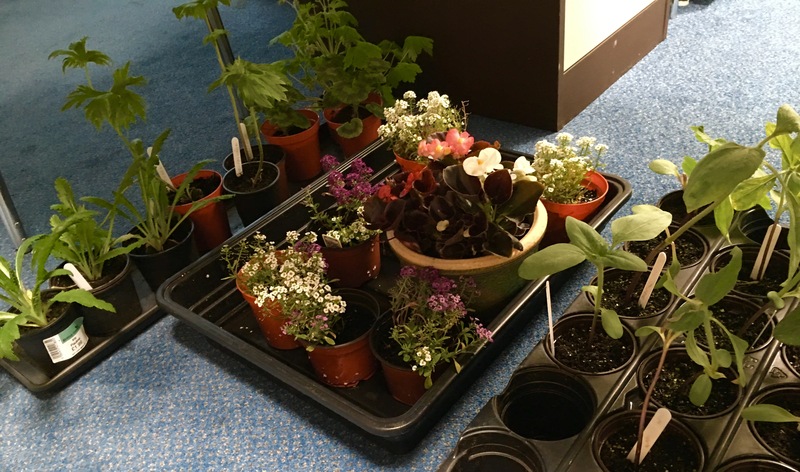 Rain or shine tomorrow – don’t worry, we have lots to do, with garden stalls outside – and crafts, refreshments, books for loan and sale, children’s soft play and more inside. 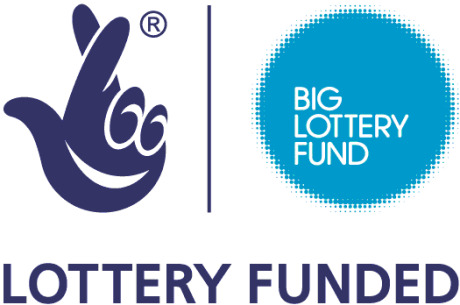 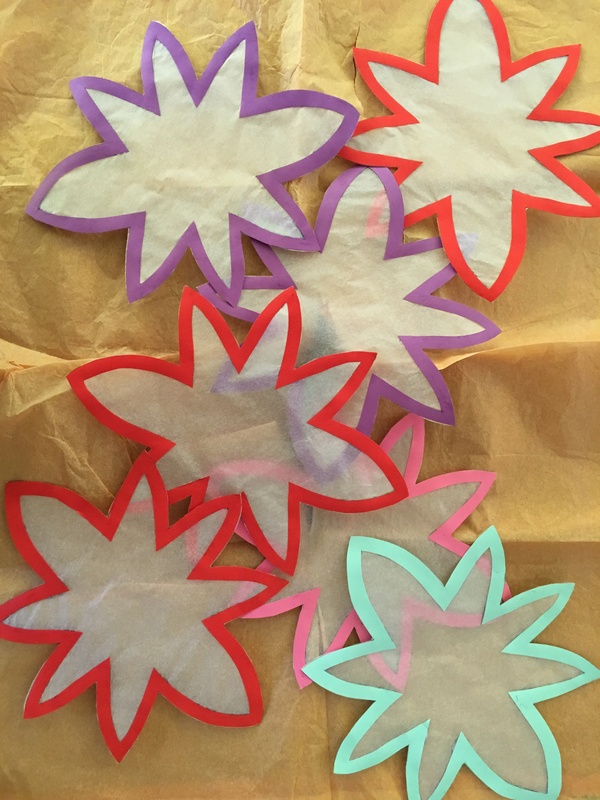 The big day is nearly here …. 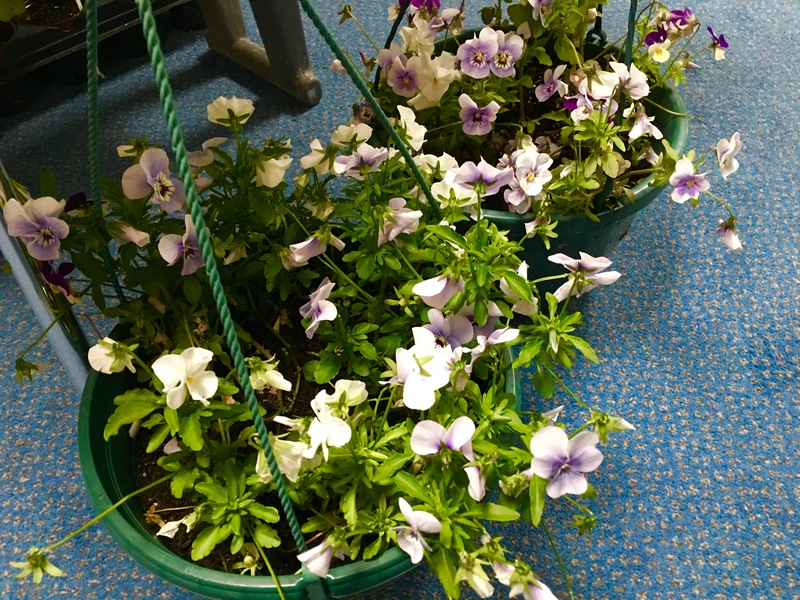 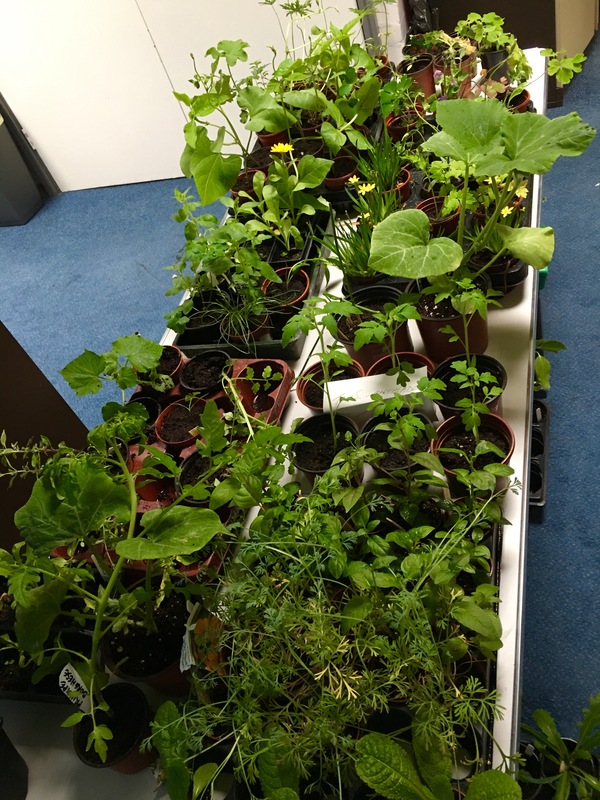 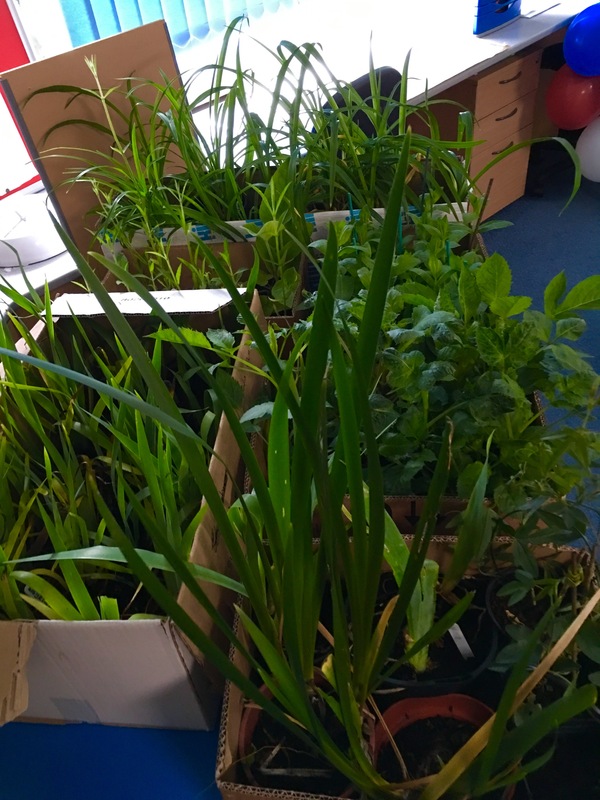 and our staff room is starting to resemble a garden centre again 🙂 I’m told there are even more plants arriving tomorrow, so they’ll be a really decent selection to choose from – all for 50p each. 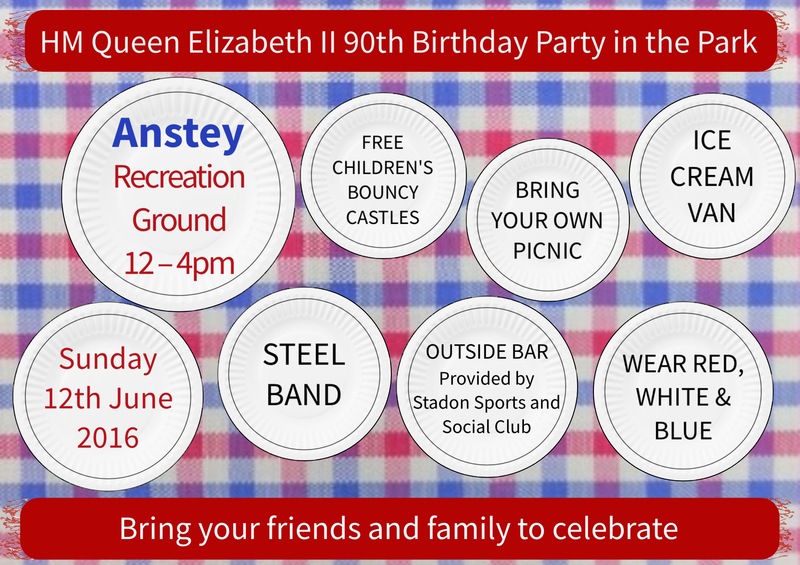 We’ll also be selling cakes, hot and cold drinks, treats and ice poles. 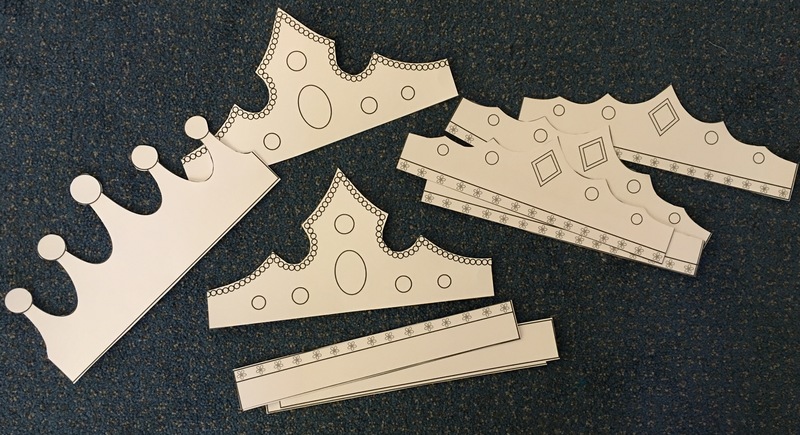 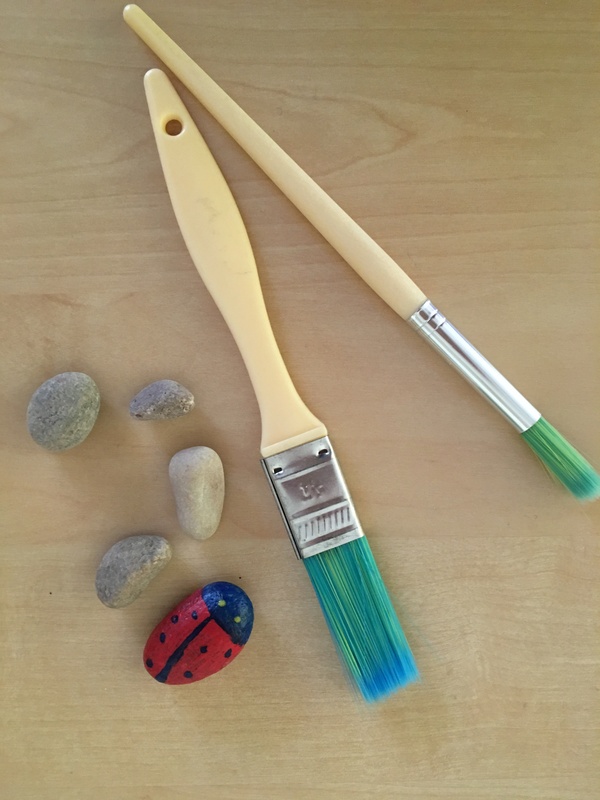 Scroll down for pics of the beautiful children’s crafts Gemma and Sue have designed for us: sun catchers, pebbles to paint, Queen’s Birthday colouring sheets and design-your-own-crown.